Fiddly dee! 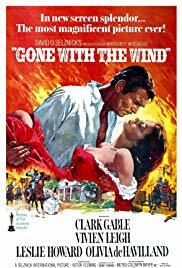 The Margos are feeling the vapors as we finally tackle Margaret Mitchell’s classic novel Gone With the Wind and this time, us two Yankees admit we need some help understanding the history of the book and its author. So for the first time ever--we asked another podcaster to join us for this discussion--Alicia from the Trashy Divorces podcast!